Among the state tourism ad campaigns, in the last one year or so, advertisements of Madhya Pradesh (MP), Kerala and Gujarat Tourism drew my attention; the Gujarat Tourism ad campaign has been on television for close to three years. 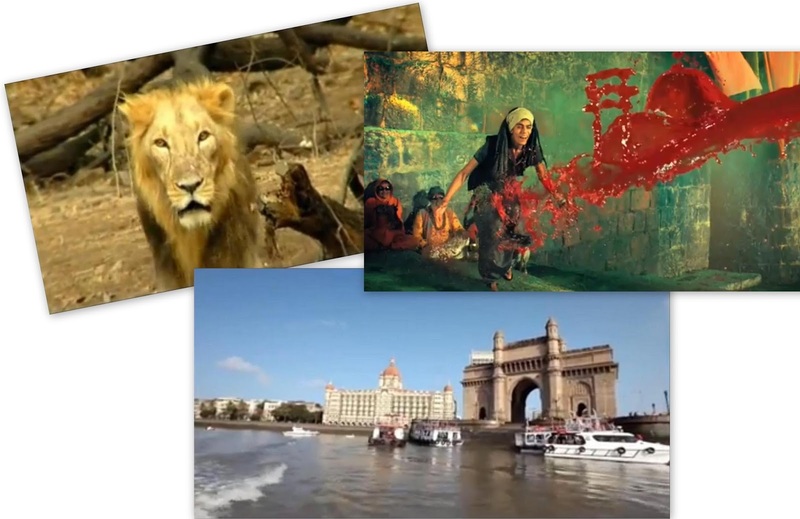 I also see a Maharashtra Tourism ad now and then on television but it is not as impactful as the first three mentioned above. Actor Shah Rukh Khan was been roped in by the West Bengal government to do an ad for the state, but I have not seen this ad in any TV channel so far, not even in travel related programmes; I finally saw it on YouTube; I wonder in which channels can one see the West Bengal Tourism ad? family or a corporate body. The proposition should clearly communicate as to what need would be fulfilled if he/she visits the place that is being advertised. Of course an advertisement should also be creative and attractive in terms of visuals and audio to attract attention of the potential traveller and create an urge in him/her to visit the place. The ad can draw and hold attention, the impression it creates is somewhat subliminal and not direct. In their earlier campaigns too MP Tourism had made use of creative imagery to engage the viewer. To see these ads on YouTube click here: (1) Shadows – Ajab Hai and (2) Dancing eyes –Hindustan Ka Dil Dekho. Another aspect of the current MP Tourism ad campaign is that its media presence in high and that makes a difference, you simply cannot miss it. The visual element in these ads is actually made up of the natural produce of the state which is not only eye-catching but it also conveys in one look what the state has to offer to the tourist. To my mind it was a well executed ad campaign. Over the years ads of Kerala Tourism has singlemindedly worked towards establishing Kerala as a place that offers natural beauty and ayurvedic healthcare; the tagline “God’s own country” will remain in people’s minds for a long time to come. The best of all tourism ad campaigns currently is that of Gujarat Tourism -- ‘Khusboo Gujarat Ki’. Traditionally Gujarat has not been a top-of-mind tourist destination like Rajasthan, Goa and Kerala, but this campaign featuring Amitabh Bachchan has been very successful and has resulted in increase tourist traffic. I will not credit the success of this ad campaign only because Amitabh Bachchan is the brand ambassador but because of a combination of factors. The entire campaign has been conceived and planned very well, scripted well, executed well and Bachchan played his role very well. The production quality of the TVCs is very high and Bachchan is the brand ambassador in the true sense of the term and not just a celebrity model. Each of the ads is direct, there is no ‘creative handle’ and no metaphors or symbols have been used. The entire campaign has a warm and welcoming feel. Gujarat Tourism Corporation Limited has spent Rs. 71.62 crore in the last two years on this campaign; I would say the money was well spent. Another interesting thing I learnt is that Amitabh Bachchan did not charge any fee, for more click here: 'Khusbhoo Gujarat Ki'costs Gujarat govt Rs 71 crore.